Expected visitation for March and April is estimated at over 20,000. Statistics say on average, visitors spend $89 per night in the Grampians Region. THIS IS YOUR OPPORTUNITY TO TAKE ADVANTAGE OF OUR PEAK EVENT SEASON! A three day music and arts festival featuring local and international acts. Shuttles will run to and from the festival site to Ararat for attendees to access stores for supplies and public transport. 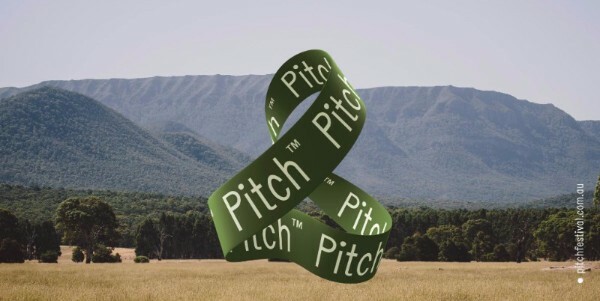 Pitch is an all inclusive, all ages event with family spaces and extensive children's programs. 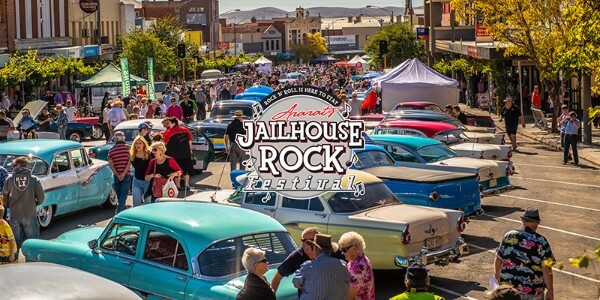 A celebration of all things rock’n'roll; the music, the dancing, the fabulous fashion, classic motorcycles & cars and of course, the Hot Rods! This year, Alexandra Oval will be rocking on Saturday & Sunday as the festival centralises due to the development of the Performing Arts Centre. Australia's Richest Footrace returns to the region this Easter! Join in three action packed days, witnessing some of Australia's elite athletes competing for the coveted 2017 trophy. Enjoy a FREE family movie under the stars on the Lake Bolac Football Oval. BBQ, bar & snacks available for purchase from the Wickliffe Lake Bolac Football Netball Club. BYO picnic rug, chairs and blankets. Victoria's oldest sheepdog trials, celebrating its 89th year in 2017! See some of the country's best sheep dogs in action and enjoy some fantastic country hospitality. See some of Victoria's elite athletes compete for the 2017 Ararat Gift title in the lead up to the coverted Stawell Gift. Going from strength to strength, the Pomonal Village Market now hosts more than 40 stalls featuring local produce, arts, crafts, bric a brac, plants and much much more. A community fish and chips luncheon and family games afternoon to raise funds for the Royal Children's Hospital Good Friday Appeal. Each year the Willaura and surrounds raise a significant amount for this great cause. Held on Easter Saturday, Moyston Easter Market is a great community get together featuring local stalls of food, produce, craft, vintage cars and more. Try your hand at the annual traditional Tom Wills Long Kick Competition!